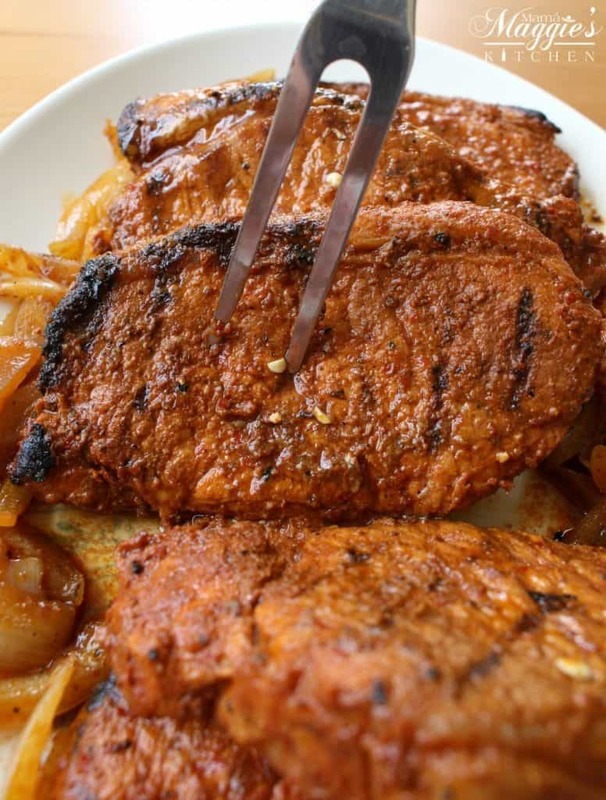 Grilled Pork Chops Adobo (or in Spanish, “Chuletas Adobadas”) are full of lick-smacking flavor. Consider this recipe for your next backyard BBQ or family dinner. 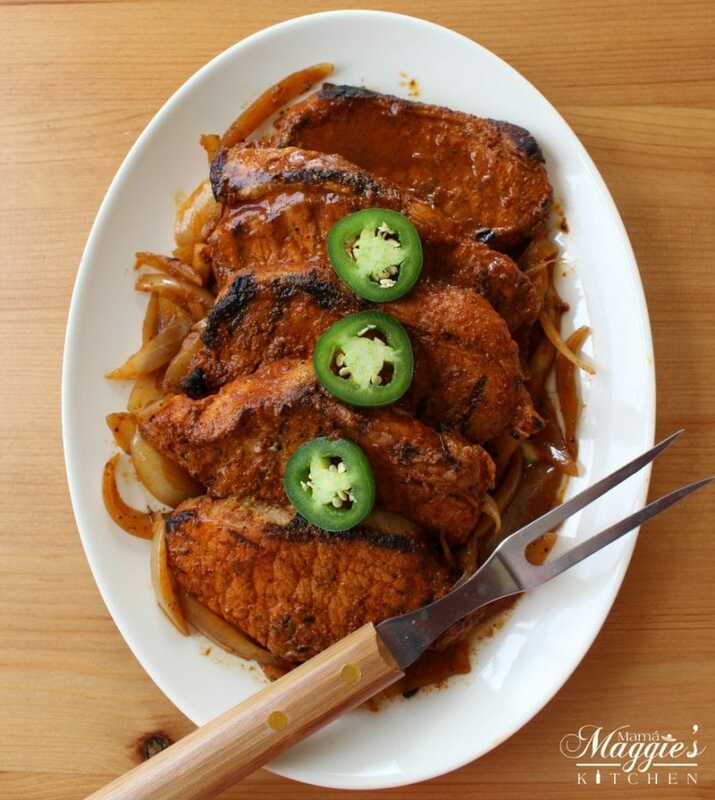 Grilled Pork Chops Adobo (or in Spanish, “Chuletas Adobadas”) are full of lick-smacking flavor. Consider this recipe for your next backyard BBQ or family dinner. It’s sure to please any crowd. When you go to a Mexican restaurant, you might see a big, vertical spit with meat cooking. Thin slices of meat are cut (usually with a machete) to make Tacos Al Pastor. That spit is called a “trompo.” I don’t know about you, but I don’t have a trompo at home, or a machete…. at least not one I can admit to … (wink, wink). 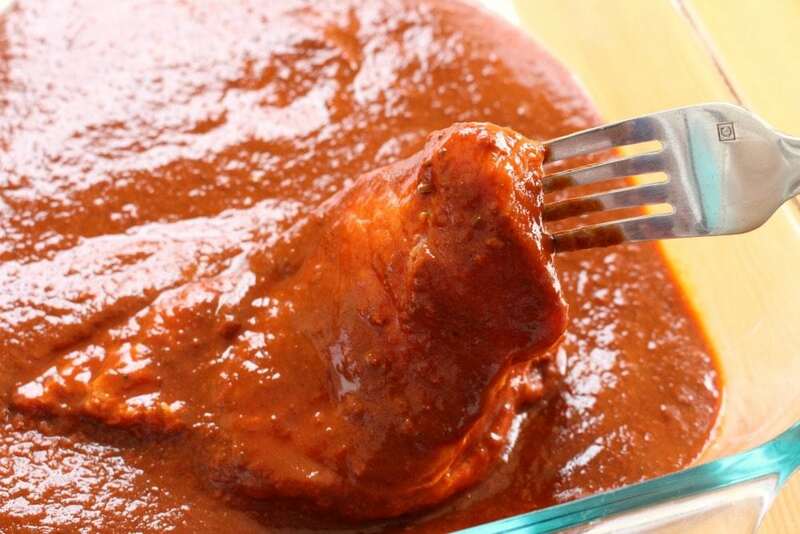 I can, however, recreate those amazing flavors as in these yummy Grilled Pork Chops Adobo. Tacos Al Pastor are usually made with a fatty cut of pork. However, I’m using lean pork chops with very little fat. Don’t worry. We will still get all the flavors with this lean cut of meat. 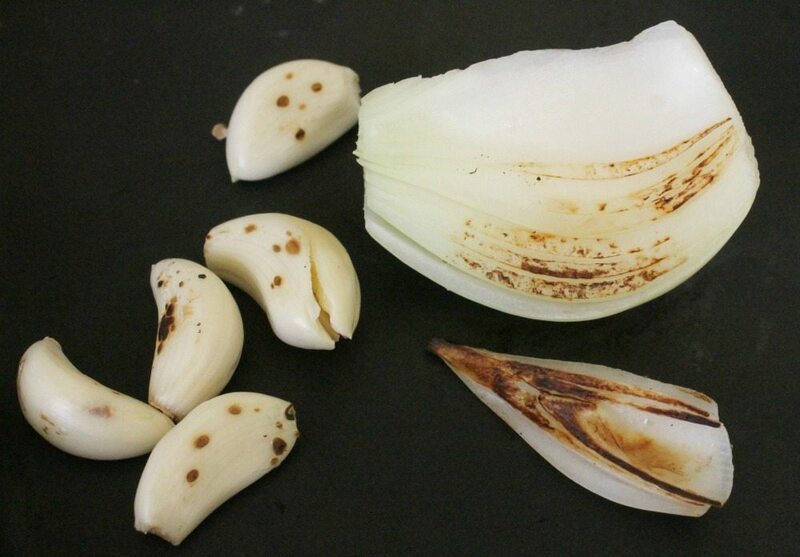 It’s all in the sauce, boss… Start by charring up the onion and garlic. 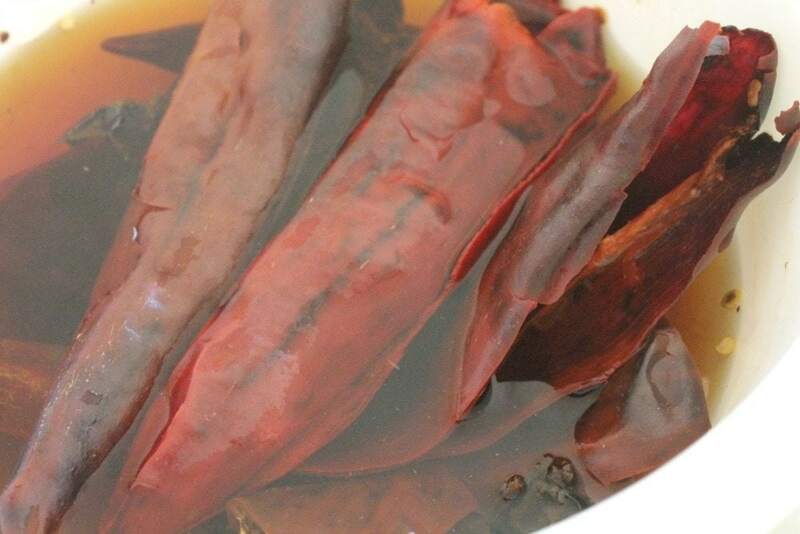 Rehydrate the ancho chile and guajillo chile. Add them to a blender. 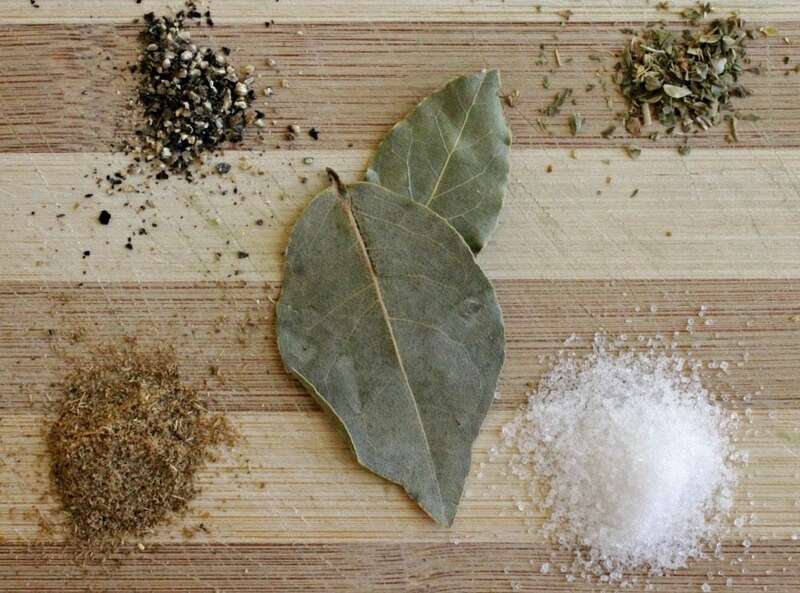 This is salt, pepper, oregano, cumin, and bay leaves. They also go into the blender. This adobo sauce is so good. The flavors are robust and slightly tangy. In a large dish, add the adobo sauce. Individually add the pork chops to the dish. Make sure they are well covered with the sauce. 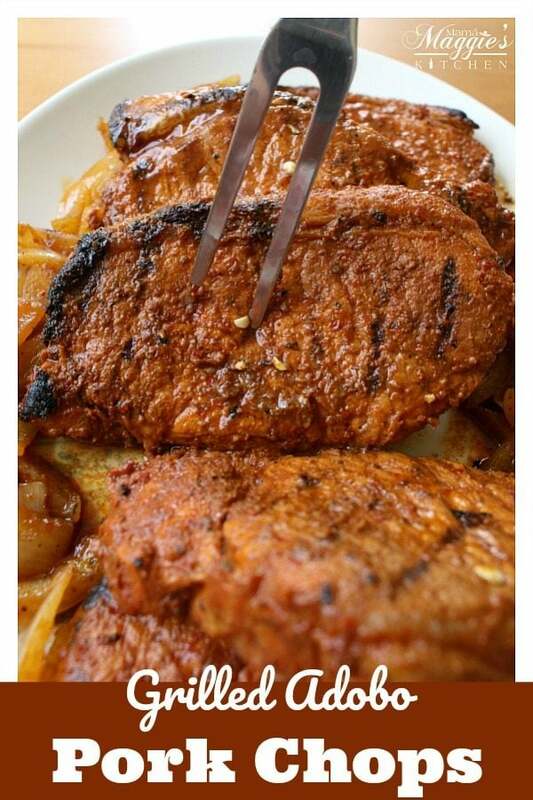 You have to let the meat marinade for a minimum of 4 hours in the refrigerator. However, overnight is best. You really want the flavors to penetrate. 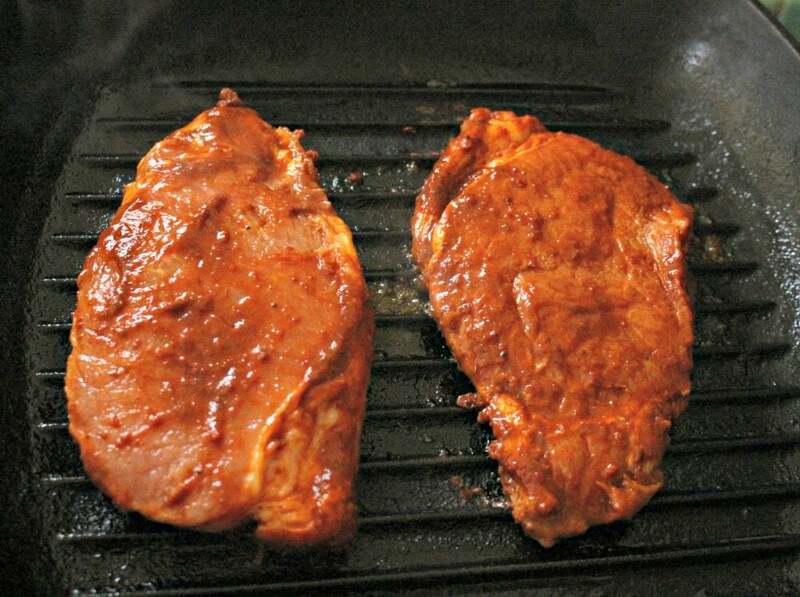 Cook the pork chops on the grill or a grill pan. It’ll make all the difference. The grill helps to develop that smokey flavor that Tacos Al Pastor have, and that’s exactly what makes this dish. Grill the pork chops for 4-5 minutes on each side, depending on the thickness of your meat. 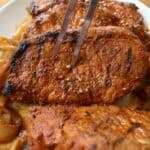 You can also grill some pineapple or onion slices to go with your Grilled Pork Chops Adobo. 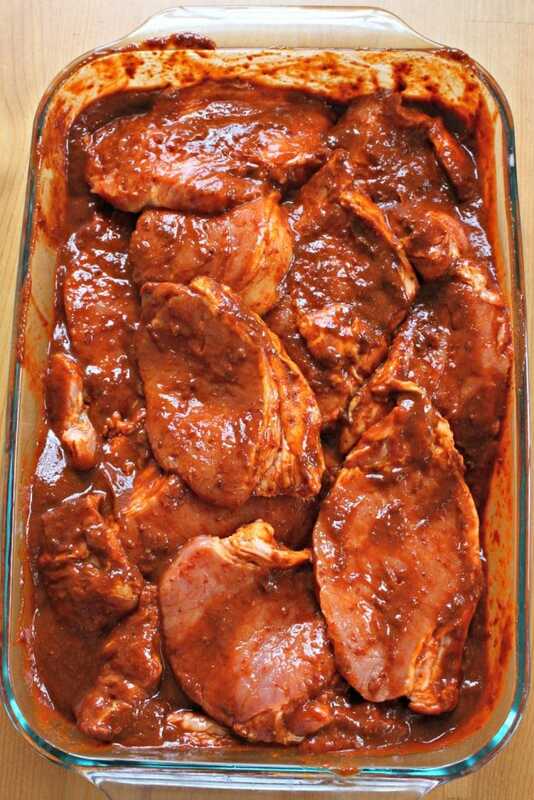 If you like it saucy: Cook the marinate and top the cooked pork chops with the sauce. YUM! Hope you enjoy! Let sit for 5 minutes, or until chile is soft. Watch carefully so as not to burn. 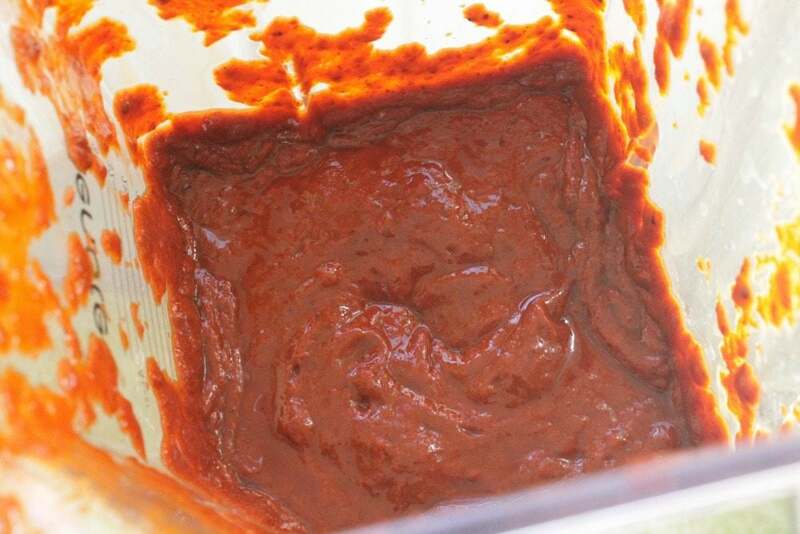 To a blender, add the garlic, onion, chipotle, bay leaves, pepper, oregano, cumin, cinnamon, cloves, apple cider vinegar, water, achiote paste, salt, pineapple juice, and reconstituted chile. (Do not add the liquid from the reconsituted chiles). Pour the adobo sauce in a large container. Cover each pork chop individually with adobo sauce. (Make sure to add marinade to both sides). Cook each pork chop for 4-5 minutes on each side, depending on the thickness of your chop. Optional: In a small saucepan, cook the marinade and pour over the cooked pork chop.